Former Nigerian athletes have been admonished to live healthy and plan well for their retirement. 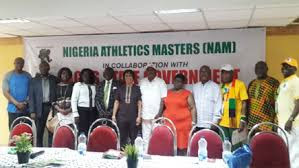 The advise was made at a one day workshop organised by the Nigerian Athletics Master (NAM) in Lagos. The event, which took place at the Teslim Balogun Stadium, was organised in conjunction with Lagos State Sports Commission, with the participants also had free medical check-up. Declaring the seminar open" chairman of the occasion and President General of Nigeria Football and other Sports Supporters Club, Dr. Rafiu Ladipo praised the organisers for such a wonderful initiative especially now that some sports men are dying of cardiac arrest with some living in penury.